for caring about hungry preschool-aged children. More than 20-60 volunteers daily share their time to prepare meals in our beautiful, centrally located kitchen and YOU can be one of them. Volunteering is a blast! While in our kitchen, volunteers play music, chat, laugh, dance, sing, have sandwich making speed competitions, and have a joyful time while making meals. We host groups of up to 60 (age 8+) from corporations, places of worship, schools, youth groups, sports teams, book clubs and everything in-between. Watch this quick video will get you ready! Volunteer delivery drivers meet our staff driver at the Ripley House to pick-up food supplies and information. 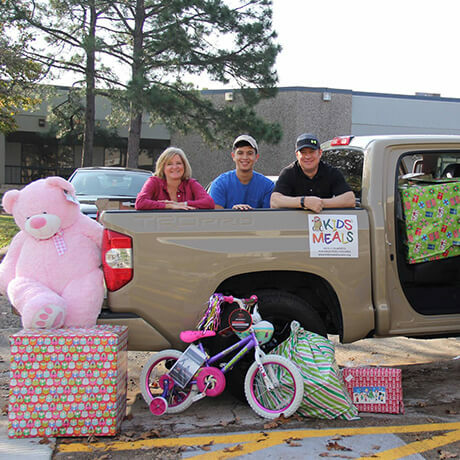 Volunteer drivers will deliver meals to the children’s homes in their own vehicle. Volunteer drivers can reserve one or up to five of the available routes. Each route will take around an hour and a half or less to complete. Volunteer delivery drivers must have a valid driver’s license and insurance. Additionally, they must pass a background check. It is encouraged to have two or more volunteers per vehicle. 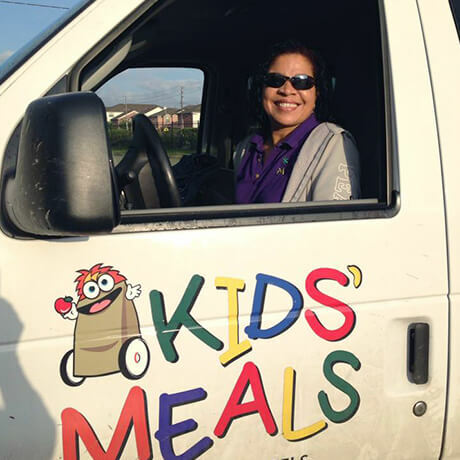 Volunteers (must be over 18 years old) ride with our delivery drivers to deliver meals and food items directly to the children’s homes, 7:30 a.m. to 1 p.m. If you have any questions, please feel free to call us at 713-695-5437 or email Caroline. What other volunteer opportunities can I take part in? No need for application! Email us if you have any questions. Assemble lunch packs for hungry children right from your facility. Purchase pre-packaged lunch items, pack lunch packs and have fun! Collect items like 100% fruit juice boxes and resalable sandwich bags help us reduce our food expenses and increase the number of children served. 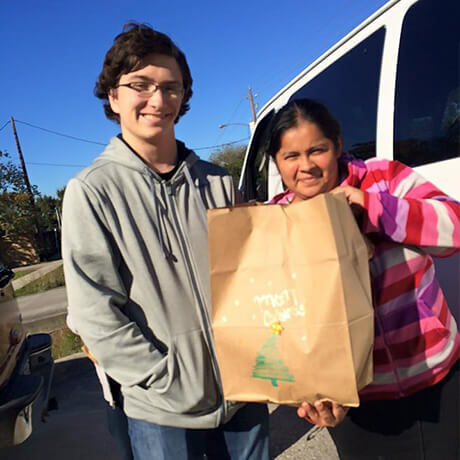 During the holidays, we collect toys, turkeys, hams and canned goods to deliver to our families. Help bring awareness about ending childhood hunger through your social networks. Spread the word about our special events, fundraisers, contests and more! 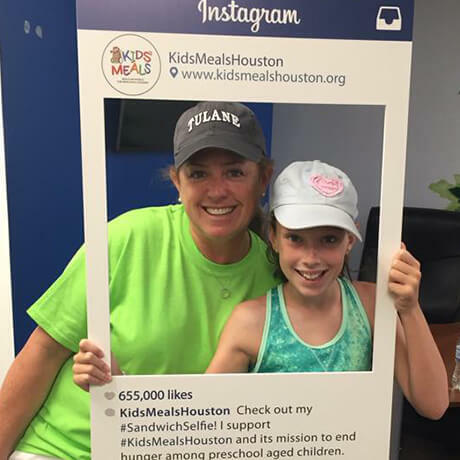 Every year, Kids’ Meals is an official charity of the Chevron Houston Marathon and Aramco Half-Marathon. 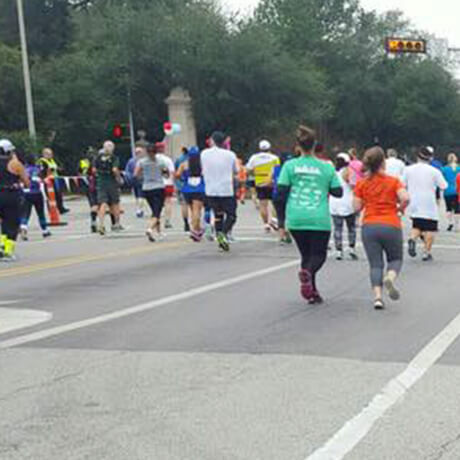 Get a team of your buddies to walk/run for Kids’ Meals. 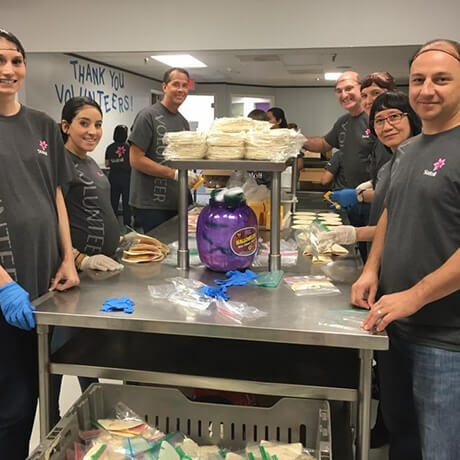 Each step you take is one step closer to ending childhood hunger in Houston. 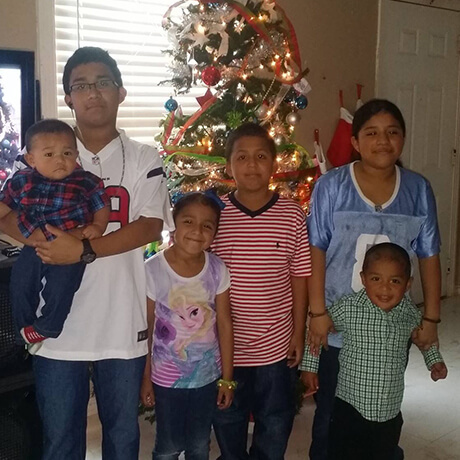 Sponsor a family for the holidays and experience their joy as you deliver food or gifts. 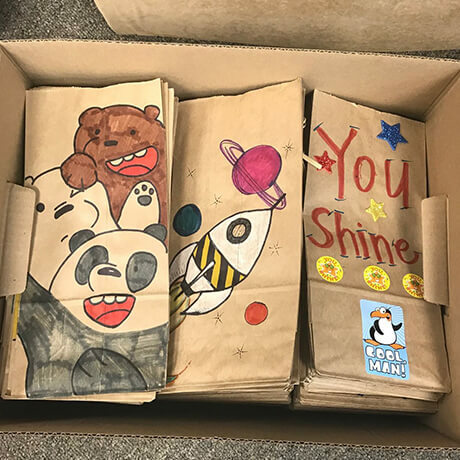 Color and decorate the lunch bags our little ones receive their meals in to add some extra fun to their delivery. We can’t wait for you to join our hunger-free family!